After completing a traditional six-year apprenticeship in Japan under my master, Mr. Kunio Kobayashi at his world famous nursery in Tokyo, Shunkaen Bonsai Museum, I returned to the UK and settled in London, creating a studio and nursery. Since then I have travelled far and wide, teaching and working with bonsai collectors and enthusiasts across the globe on a mission to elevate the art of bonsai. Some of my work has been exhibited at the highest level in Japan, the US and Europe and in November 2013 I created and curated a novel contemporary bonsai exhibition, Natural Flux, held at the Brick Lane Gallery in London. Alongside working with bonsai, I am a published author and respected translator, regularly featuring in magazines around the world and writing a book published by DK. 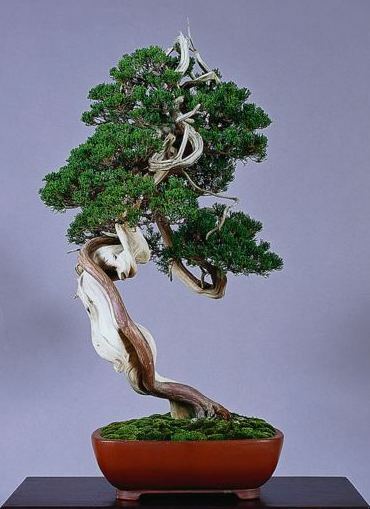 During my time in Japan I featured regularly on the radio and television and have become a well-known figure within the Japanese bonsai community with strong links to all the major artists and nurseries. Saruyama Bonsai offers a full and comprehensive service for all your bonsai needs, from teaching, styling and routine maintenance to sales and sourcing the best trees. pots and materials from around the world.